Soccer Trophy Set. 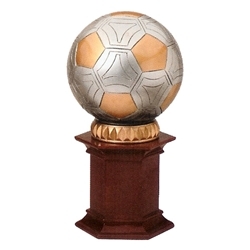 This beautiful soccer award makes the perfect Coach Gift, Special Player, or MVP Award. Stands 12" tall. Made of resin.